How do you conduct a science seminar? Share your experience using the strategies covered in the last session. What was challenging for students? For you? Watch the video below, which describes the role of the teacher during the science seminar. What role did the teacher play in the science seminar? What strategies do you notice the teacher using to facilitate the science seminar? 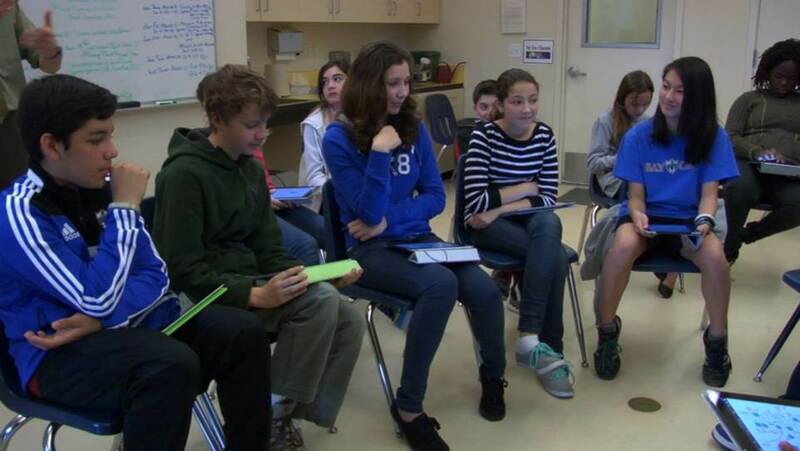 What concerns do you have about running a science seminar in your classroom? What do you think students will do well? What challenges do you anticipate students having? Give a brief presentation on the teacher and student roles during the science seminar. Project the seating arrangement and describe that students will be seated in two concentric rows. Review interactional norms and sentence starters. Emphasize the teacher role is to step back and take notes while students lead the discussion. Explain that during the next activity, teachers will have the opportunity to be the students in the science seminar held during this seminar. Have one large discussion if there are 10 or fewer participants. Have two shorter discussions with approximately half the group. Set up the chairs in a fishbowl pattern. Prevailing winds on the Pacific coast cause extremely low precipitation in the Atacama Desert. The location of mountain ranges causes extremely low precipitation in the Atacama Desert. Surface temperatures of the ocean cause extremely low precipitation in the Atacama Desert. As a “student,” what worked well for you? What was challenging? What types of instructional strategies can you see your students needing to interact in a science seminar? How could engaging in a science seminar help students develop a better understanding of the science content? Engage your students in a science seminar. For the next session, be prepared to discuss your experience.